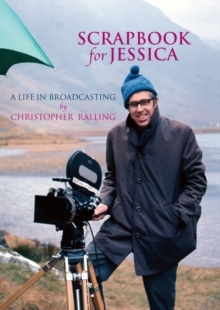 Scrapbook for Jessica is part scrapbook, part memoir, covering the life of Christopher Ralling: his family and background; and of course his career BBC radio and television. As its title indicates, the book was written for Ralling's grand-daughter, Jessica, who is now a teenager. As Christopher Ralling is now 87, he wanted to tell her a bit more about 'us, her family' and to put it in a readable but light memoir of his life, as she gets into hers.